Open to the public; $10 at the door. An evening of the Music that Made Milwaukee Famous, at the South Milwaukee Performing Arts Center. 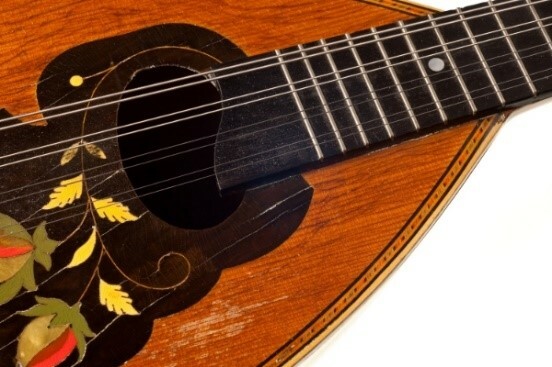 Known for its performance of music from America’s golden age of mandolin orchestras (the late 1800s to early 1900s), the MMO is considered one of the best mandolin orchestras to perform rags, waltzes, and marches. Now with world renowned classical guitarists Rene Izquierdo and Elina Chekan as directors, the MMO captivates audiences with inspirational performances of preeminent works of the baroque and classical periods. Music that Made Milwaukee Famous will feature this unique combination of historic music. Join MMO plus special local guests Misha Litvin and Stas Venglevski (a fast fingered domra and bayan duo) and Robin Pluer (a lovely and charming chanteuse). Tickets: Adult $20-30, Senior (ages 60+) $17-27, Student (ages 4 thru college) $10-20. The MMO is so happy to be playing at the Lynden Sculpture Garden again. It's one of Milwaukee's beautiful hidden gems. Come on out to hear some fun music and to learn about sustainable forest cycle, with plenty of family-friendly hands-on activities and entertainment. Plus yummy food from the Falafel Guys food truck! We'll be playing at the beautiful Sarah Chudnow retirement community in Mequon, in their wonderful hall surrounded by 19 acres of peaceful nature. One of our favorite summertime gigs. Come out to support the fabulous artists and sculptors, and listen to some great music as well. This concert will feature one of Rossini's masterpieces, Tancredi, a story of tragic love and the chivalry of an exiled soldier to the beautiful Amenaide. We will visit the early 1700s with Handel's Suite No 4 in d minor and follow the life of Peer Gynt in the Peer Gynt Suite by Grieg. And to preserve some mystery to our program, we will perform a melancholic tango, a romantic Italian intermezzo and a few pieces from the MMO's library dating back to the early 1900s. The concert will start with a solo guitar recital by the MMO's Director, Rene Izquierdo. Julien Martineau is one of the few mandolin players in Europe to lead a concert career, performing in the world's leading concert halls and festivals. In 1998, at age 19, he won the Giuseppe Anedda Prize at the Varazze International Mandolin Competition in Italy. In 2002, he obtained his Master of Music from the Sorbonne in Paris. Rene is the winner of many competitions including the JoAnn Falletta International Guitar, Extremadura International Guitar, Schadt String, and Stotsenberg International Guitar competitions. He is currently a professor of classical guitar at the University of Wisconsin-Milwaukee and an active solo performer and chamber musician. Rene is also the Music Director of the Milwaukee Mandolin Orchestra. Alon Sariel was born in Beersheba, Israel, and frequently appears as a mandolinist, lutenist and conductor in the fields of early and new music. He has performed numerous contemporary works written specially for him. Concert tours have taken him to internationally renowned festivals, including the Salzburg Biennale for New Music and the Utrecht Early Music Festival, and to major stages including the Berlin Philharmonie and La Scala in Milan. The concert will feature some of the great repertoire from our mandolin-orchestra archives, including "Sweet Marjorie", which we haven't played in a while. Also, we'll have the MMO premiere of some Spanish, Italian, and Japanese music. From Japan: the US premiere of Seiichi Suzuki's Harbor Bells. The MMO hopes to tour Japan one day with this piece. Tickets are $16 (plus service fees) in advance; $20 at the door. Carlo Aonzo will join the orchestra for a reading of Vivaldi's Four Seasons. A treat not to be missed. In addition, the Carlo Aonzo trio will start off the concert with their intriguing mix of classical, jazz, Brazilian, and other music. Jaw dropping - and simply a lot of fun. The Lynden Sculpture Garden - one of Milwaukee's most beautiful sites, with music from Milwaukee's oldest orchestra. We're back, for another night of great music, warm weather, and delicious food. A night of great mandolin music, featuring the incomparable Robin Pluer, vocalist on any number of Tin Pan Alley tunes. It's a great combination! The Milwaukee Mandolin Orchestra, along with guest artist Evan Marshall, presents a concert featuring Mozart, Hummel, Brahms, and Telemann, along with several favorite tunes from the traditional mandolin orchestra repertoire. "Music that set the place on fire!" Under the musical direction of celebrated classical guitarist Rene Izquierdo, the Milwaukee Mandolin Orchestra is thrilled to bring to its Southeast Wisconsin audiences a program of orchestral works, solo mandolin with orchestra accompaniment, and the amazing solo performance of Evan Marshall. Now celebrating its 115th anniversary, the orchestra regularly performs at music festivals and concert halls around Wisconsin. Twice, the MMO was honored to have appeared live on Garrison Keillor's internationally broadcast radio show, "A Prairie Home Companion". Tickets are $16 (plus service fee) / $20 at the door. Get your fresh fruits and vegetables and listen to some great music as well! As of 4:20pm on July 6, the concert is still scheduled to be outdoors. We should have a window of nice weather before the rain comes again at 9:00p. In the event of inclement weather, the concert will move indoors to the Marcia Coles Community Room, which is in the lower level of the Lake Park Pavilion, beneath the Lake Park Bistro Restaurant (3133 E. Newberry Blvd.). The MMO is pleased to kick off the 18th season of concerts at Lake Park's Summer Stage. It'll be a wonderful night of free music. More details about the Musical Monday lineup is here. All concerts take place at the new Lake Park Summer Stage, just south of the playground and tennis courts. A free concert on the patio of the lovely Catholic Family Home. Our annual appearance at the Milwaukee Art Museum's fantastic festival. We love playing here. Join us for an hour of mandolin orchestra favorites from the '20's and '30's, as well as a selection of Italian tunes. Admission to the Festival gets you free admission to our concert. This could be our most eclectic concert ever. You'll probably want to buy your tickets right now! With virtuoso guitarist Rene Izquierdo conducting, the Milwaukee Mandolin Orchestra is heading in a more ambitious direction while proudly remaining champions of the American mandolin tradition. We found that carefully chosen music from the Baroque, Classical, and Romantic eras blends remarkably well with ragtime tunes and mandolin orchestra music composed by local composers from 100 years ago. In the upcoming concert program, featuring the amazing duo of virtuosos Stas Venglevski and Mikhail Litvin, Izquierdo will take this event where no other mandolin orchestra concert in Milwaukee has ever gone before. In 2000, Mikhail Litvin, a virtuoso mandolinist / domra player from Belarus, came to Milwaukee with a desire to live in America and work as a classically trained musician. He is a beneficiary of the former Soviet Union’s musical education system. In past years, Mikhail was the MMO’s regular soloist. More recently, he has been touring North America and Europe with his performing partner, Stas Venglevski. In most parts of the world, some types of the accordion are symbols of a nation’s musical identity. The button accordion Bayan is as Russian as the balalaika and the Bolshoi Ballet. Stas Venglevski is a two-time first prize winner of Bayan competition in the Republic of Moldova. Stas is a graduate of the Russian Academy of Music in Moscow where he received his Masters Degree in Music. Stas has toured extensively as a soloist throughout the former Soviet Union, Canada, Europe, and the United States, including numerous performances with Doc Severinsen, Steve Allen and with Garrison Keillor on Prairie Home Companion. Stas and Mischa on YouTube. Following our guest virtuosos, the MMO will bring you the best of mandolin orchestra music, with a surprising addition: Bach's Brandenburg Concerto #3. The orchestra has had a blast getting this piece ready to debut - holy cow, it's fun! $16 (plus service charge) - available here. 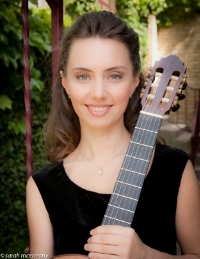 Join the MMO and guitarist Elina Chekan for an exploration of Italian music. The occasion is the closing date of the Milwaukee Art Museum's latest exhibition - Of Heaven and Earth: 500 Years of Italian Painting from Glasgow Museums. The Milwaukee Mandolin Orchestra returns to the UWM Recital Hall on Sunday November 2, at 3:00pm, with musical director and acclaimed classical guitarist Rene Izquierdo. Carlo Aonzo, a stunning virtuoso mandolinist, is a native of Savona, Italy, where he grew up immersed in music. Carlo can count several performances with the Milwaukee Mandolin Orchestra among his many accomplishments. 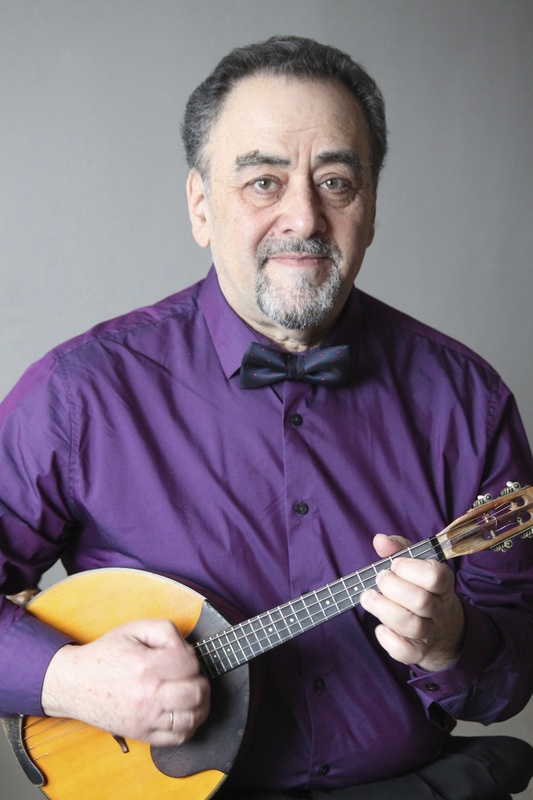 Carlo directs several classical mandolin workshops annually across America, leads mandolin orchestras and the International Mandolin Academy near his home in Italy,has recorded with David Grisman and is considered one of the top interpreters of Antonio Vivaldi’s music. The MMO’s Music Director, Rene Izquierdo, will join Carlo to play classical duets for mandolin and guitar. Carlo and Rene have toured together extensively, recorded a collection of Paganini’s music and this year released a live concert performance. Linda Binder, violinist and mandolinist, was the Music Director of the Milwaukee Mandolin Orchestra for many years and is an in-demand player with several ensembles throughout the Midwest. 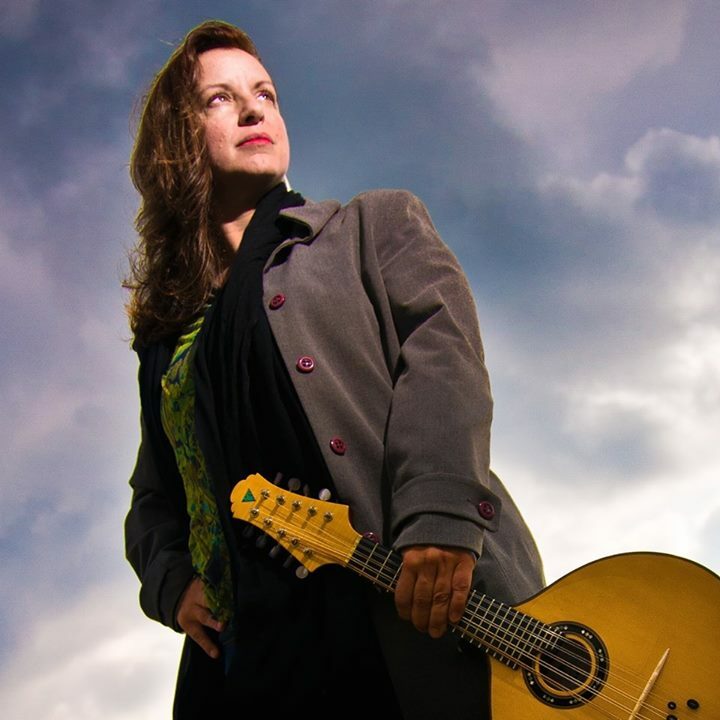 A skilled and soulful player on the 10-string Brazilian bandolim, she was praised by Milwaukee Journal Sentinel critic Tom Strini for "...her silvery sound and supple phrasing." Linda and her guitarist husband Jeffrey Binder will play a selection of Brazilian Choro music. Choro is characterized by virtuosity, improvisation and subtle modulations, and is full of syncopation and counterpoint. 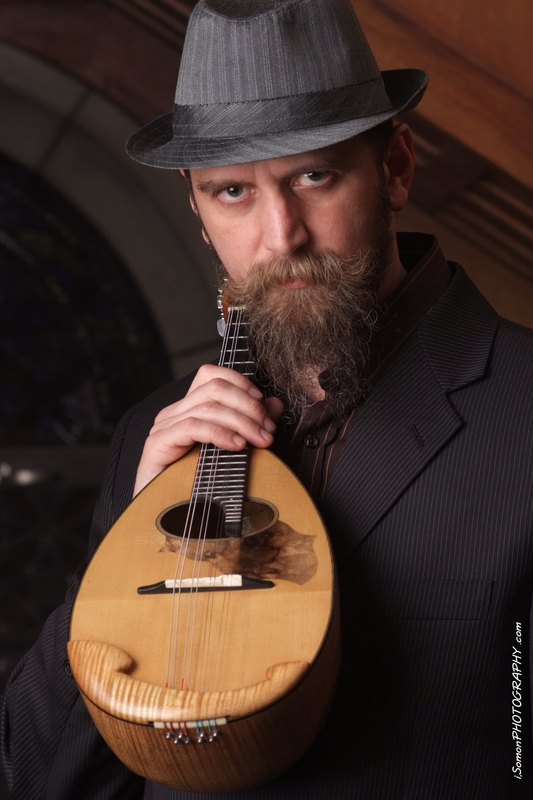 Milwaukeean Mikhail Litvin is a Belarussian mandolin virtuoso. He joined the MMO in 2001 and his mandolin solo playing has been featured at several MMO concerts and on our latest recording. Mischa tours Europe several times a year as a soloist with various Russian ensembles and with his countryman Stas Venglevski, the "bayan" virtuoso. The MMO was founded in 1900 and plays music arranged for 1st and 2nd mandolin, mandola, mando-cello, mando-bass, guitar, percussion and voice. The MMO has appeared twice on "Prairie Home Companion" and plays at music festivals and concert halls throughout the Midwest. Plein Air is Shorewood's celebration of the arts - with over fifty artists painting outside, throughout Shorewood, for four days, Sept 17-20. Plein Air ends with the Awards ceremony - and the MMO will be welcoming all artists and visitors to the gala celebration. More information on Plein Air is available here.